In today’s thoroughly mass-mediated world, audiences and publics are, of course, composed of the same people. Yet social science traditionally treats them quite differently. 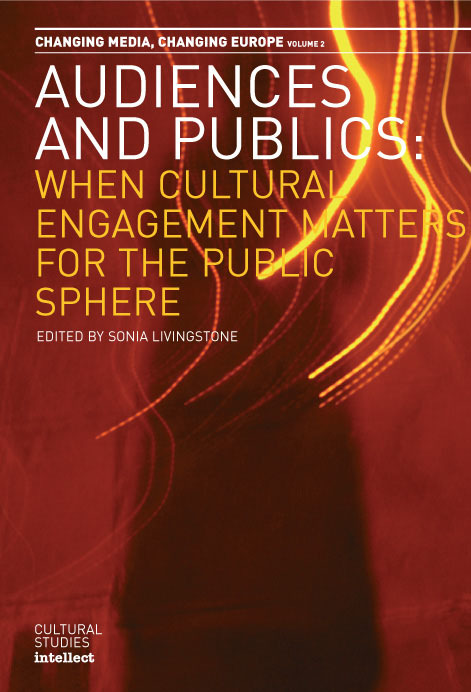 Indeed, it is commonplace to define audiences in opposition to the public: in both popular and elite discourses, audiences are denigrated as trivial, passive, individualised, while publics are valued as active, critically engaged and politically significant. Overview by Ulrike Hanna Meinhof. Particular entries on English (Sonia Livingstone); German (Ulrike H. Meinhof); Danish (Kirsten Drotner); Greek (Mirca Madianou); Slovenian (Sabina Mihelj); French (Daniel Dayan).